Federal officials have given energy and mining companies permission to pollute aquifers in more than 1,500 places across the country, releasing toxic material into underground reservoirs that help supply more than half of the nation's drinking water. "You are sacrificing these aquifers," said Mark Williams, a hydrologist at the University of Colorado and a member of a National Science Foundation team studying the effects of energy development on the environment. "By definition, you are putting pollution into them. ... If you are looking 50 to 100 years down the road, this is not a good way to go." What records the agency was able to supply under the Freedom of Information Act show that exemptions are often issued in apparent conflict with the EPA's mandate to protect waters that may be used for drinking. In Wyoming, people are drawing on the same water source for drinking, irrigation and livestock that, about a mile away, is being fouled with federal permission. 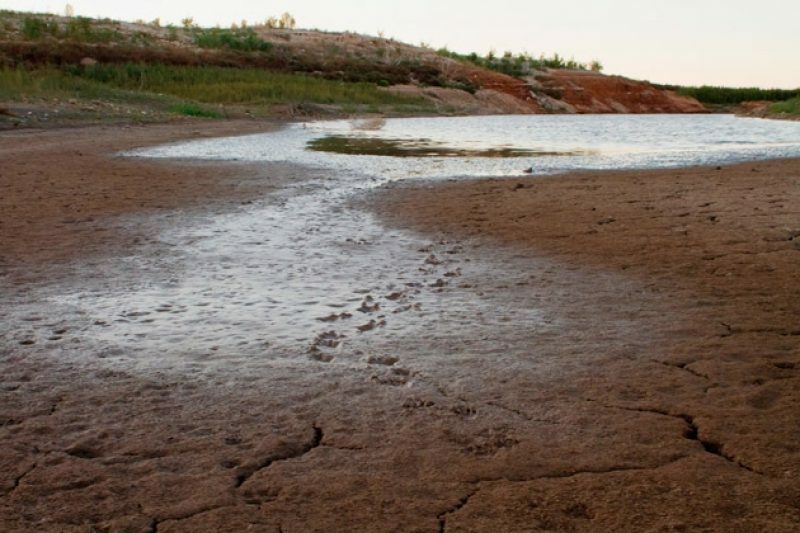 In Texas, EPA officials are evaluating an exemption for a uranium mine — already approved by the state — even though numerous homes draw water from just outside the underground boundaries outlined in the mining company's application. "Aquifer Exemptions identify those waters that do not currently serve as a source of drinking water and will not serve as a source of drinking water in the future and, thus, do not need to be protected," an EPA spokesperson wrote in an email statement. "The process of exempting aquifers includes steps that minimize the possibility that future drinking water supplies are endangered." Yet EPA officials say the agency has quietly assembled an unofficial internal task force to re-evaluate its aquifer exemption policies. The agency's spokesperson declined to give details on the group's work, but insiders say it is attempting to inventory exemptions and to determine whether aquifers should go unprotected in the future, with the value of water rising along with demand for exemptions closer to areas where people live. Advances in geological sciences have deepened regulators' concerns about exemptions, challenging the notion that waste injected underground will stay inside the tightly drawn boundaries of the exempted areas. "What they don't often consider is whether that waste will flow outside that zone of influence over time, and there is no doubt that it will," said Mike Wireman, a senior hydrologist with the EPA who has worked with the World Bank on global water supply issues. "Over decades, that water could discharge into a stream. It could seep into a well. If you are a rancher out there and you want to put a well in, it's difficult to find out if there is an exempted aquifer underneath your property." Aquifer exemptions are a little-known aspect of the government's Underground Injection Control program, which is designed to protect water supplies from the underground disposal of waste. "The energy policy in the U.S is keeping this from happening because right now nobody — nobody — wants to interfere with the development of oil and gas or uranium," said a senior EPA employee who declined to be identified because of the sensitivity of the subject. "The political pressure is huge not to slow that down." EPA "Region VI received a road map — yes, the kind they used to give free at gas stations — with the aquifers delineated, with no detail on depth," said Mario Salazar, a former EPA project engineer who worked with the underground injection program for 25 years and oversaw the approval of Texas' program, in an email. In California, where nearly half of the nation's fruits and vegetables are grown with water from as far away as the Colorado River, the perennially cash-strapped state's governor is proposing to spend $14 billion to divert more of the Sacramento River from the north to the south. Near Bakersfield, a private project is underway to build a water bank, essentially an artificial aquifer. Still, more than 100 exemptions for natural aquifers have been granted in California, some to dispose of drilling and fracking waste in the state's driest parts. Though most date back to the 1980s, the most recent exemption was approved in 2009 in Kern County, an agricultural heartland that is the epicenter of some of the state's most volatile rivalries over water. The balance is even more delicate in Colorado. Growth in the Denver metro area has been stubbornly restrained not by available land, but by the limits of aquifers that have been drawn down by as much as 300 vertical feet. Much of Eastern Colorado's water has long been piped underneath the Continental Divide and, until recently, the region was mulling a $3 billion plan to build a pipeline to bring water hundreds of miles from western Wyoming. More than 1,100 aquifer exemptions have been approved by the EPA's Rocky Mountain regional office, according to a list the agency provided to ProPublica. Many of them are relatively shallow and some are in the same geologic formations containing aquifers relied on by Denver metro residents, though the boundaries are several hundred miles away. More than a dozen exemptions are in waters that might not even need to be treated in order to drink. "It's short-sighted," said Tom Curtis, the deputy executive director of the American Water Works Association, an international non-governmental drinking water organization. "It's something that future generations may question." Similarly, the uranium mining industry works by prompting chemical reactions that separate out minerals within the aquifers themselves; the mining can't happen without the pollution. "The concept of aquifer exemptions was something that we 'invented' to address comments when the regulations were first proposed," Salazar, the former EPA official, said. "There was never the intention to exempt aquifers just because they could contain, or would obviate, the development of a resource. Water was the resource that would be protected above all." "Historically they have been fairly routinely granting aquifer exemptions," said Richard Clement, the chief executive of Powertech Uranium, which is currently seeking permits for new mining in South Dakota. "There has never been a case that I'm aware of that it has not been done." The aquifer exemptions approved by the EPA each year are according to a partial list of approvals provided to ProPublica by the agency in response to a FOIA request. In 1981, shortly after the first exemption rules were set, the EPA lowered the bar for exemptions as part of settling a lawsuit filed by the American Petroleum Institute. Since then, the agency has issued permits for water not "reasonably expected" to be used for drinking. The original language allowed exemptions only for water that could never be used. Oil companies have been the biggest users of aquifer exemptions by far. Most are held by smaller, independent companies, but Chevron, America's second-largest oil company, holds at least 28 aquifer exemptions. Exxon holds at least 14. In Wyoming, the Canadian oil giant EnCana, currently embroiled in an investigation of water contamination related to fracking in the town of Pavillion, has been allowed to inject into aquifers at 38 sites. Once an exemption is issued, it's all but permanent; none have ever been reversed. Permits dictate how much material companies can inject and where, but impose little or no obligations to protect the surrounding water if it has been exempted. The EPA and state environmental agencies require applicants to assess the quality of reservoirs and to do some basic modeling to show where contaminants should end up. But in most cases there is no obligation, for example, to track what has been put into the earth or — except in the case of the uranium mines — to monitor where it does end up. The biggest problem now, experts say, is that the EPA's criteria for evaluating applications are outdated. The rules — last revised nearly three decades ago — haven't adapted to improving water treatment technology and don't reflect the changing value and scarcity of fresh water. "You can just about treat anything nowadays," said Jorge Arroyo, an engineer and director of innovative water technologies at the Texas Water Development Board, which advises the state on groundwater management. Arroyo said he was unaware that so many Texas aquifers had been exempted, and that it would be feasible to treat many of them. Regarding the exemptions, he said, "With the advent of technology to treat some of this water, I think this is a prudent time to reconsider whether we allow them." "Unless someone can build a clear case that this water cannot be used — we need to keep our groundwater clean," said Al Armendariz, a former regional administrator for the EPA's South Central region who now works with the Sierra Club. "We shouldn't be exempting aquifers unless we have no other choice. We should only exempt the aquifer if we are sure we are never going to use the water again." "Everyone wants clean water and everyone wants clean energy," said Richard Healy, a geologist with the U.S. Geological Survey whose work is focused on the nexus of energy production and water. "Energy development can occur very quickly because there is a lot of money involved. Environmental studies take longer."